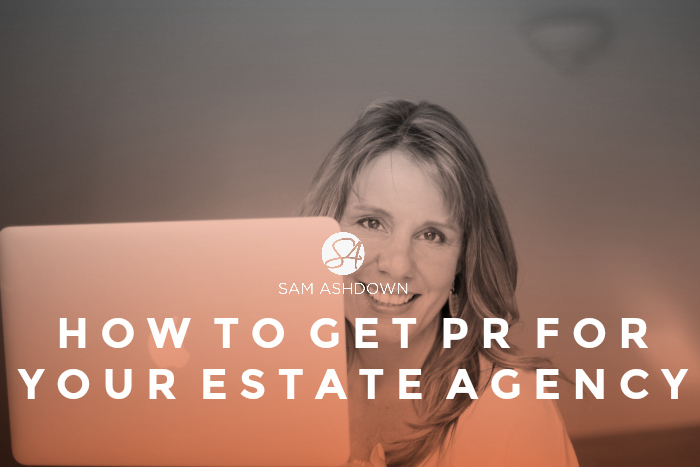 How to get valuable PR opportunities to keep you top of mind and positioned as an expert in your local newspapers, and even in the national publications. What is PR? You’ve heard the term, you probably know what it stands for, but what actually is it? Press releases? Features in the local paper? The mayor cutting a ribbon your new vinyl-wrapped car? Fast Company defines PR as “the active maintenance of the perception and relationship between your company and the public.” Sounds a bit complicated to me. You could just define it as “What people say about you when you’re not in the room”. Rule one: your news must be interesting. Your news is not your ‘about us’ page from your website. It’s not how you’ve taken on two new members of staff this month, and nor is it that you’ve been given the contract to sell a new block of flats. Rule two: have a hook. You need an angle for each story you pitch. Your ‘about us’ page isn’t interesting, but if you’re an all-woman team, it is. Your two new staff members won’t cut it as a story, but if one’s the new youngest member of the team, and the other is the oldest, now that’s a story. And that new contract to sell the block of flats? What’s the story there? Did you have to fight off a couple of corporates to get the deal? Find the hook; tell the story. No mud-slinging at your competitors, or taking a very controversial and potentially offensive standpoint on a sensitive local issue. You need to be above reproach, and professional in all your media pieces. That includes double and triple checking your spelling and grammar too, even if that means having a professional copyeditor work on it for you. You can’t expect the journalist to do your work for you; it’ll make you look bad, not them. I’ve been featured in Bricks and Mortar, the Sunday Times, The Telegraph and House Beautiful, and each one came about by a different route. Sometimes it’s just a bit of luck, other times it’s about tenacity and persistence. There are however some steps you can take to improve your chances of getting in the newspapers and magazines you want to be in. STEP #1 Choose three publications you’d really like to be featured in. Perhaps one local, one regional and the remaining one specialist. STEP #2 Find out who the main journalists are for each publication and put the information into a spreadsheet along with their contact information. You can usually find this in the paper or magazine, but if you can’t, just give the reception a call and ask them about preferred contact methods for a news story. STEP #3 Add their social media accounts to the spreadsheet, if they have any (they usually do), especially their Twitter and LinkedIn accounts. STEP #4 Find out all you can about them, looking for any commonalities and connections in common. Start engaging with them on social media, helping them out, commenting on and sharing their updates. STEP #5 Study the publications you’ve selected to get a feel for the kinds of stories and news they feature. Try to work out where your proposed story would fit in, and what the style and tone needs to be. STEP #6 Write your piece in the appropriate style for the publication. Find the right photos that will enhance it. Make sure you keep to the same length as the majority of the other stories: if you’re trying to pitch a 2000 word piece when the average is only 500 words, they’ll either ignore it, or else your piece will be cut without mercy. Get permission to pitch – use the information you already have about the journalist and write a personal introduction showing you’ve listened and remembered her. Draw them in – you need to strike the right note from the start to capture and keep their attention. You need to grab their attention in the very first line and keep their interest so they don’t scan to the bottom. Don’t make it all me-me-me – ask yourself, what’s in it for my reader to spend their precious time reading this piece? You’re not writing War and Peace – keep your piece to the point and don’t overcomplicate it. Ask for something – create a call to action and a reason to take the next step. Remember: action = motivation – friction. STEP #8 If your piece is published, thank the journalist, and keep in touch with them to maintain the relationship you now have with them – it could be very valuable to you. Keep pitching them stories, even if they aren’t yours, and just be as helpful as you can be to them so that they will value the relationship as much as you do. Your announcement starts here, and should lead with a strong first paragraph that clarifies what you are announcing, where, and its relevance to your industry. Don’t bury the lead: doing so makes it harder on reporters to find the information they need most, so get right to it in the first paragraph. The second paragraph is the best spot for quotes, but choose your quotes carefully. No reporter likes reading from a sea of people saying the same boring thing. Leverage quotes to build the importance of your story but also to shape your core messages. Whenever and wherever possible, include quotes from customers or partners who will benefit from the news, and avoid extreme exaggeration: having your CEO say that your product is the next best thing to a rocket ship is typically a very bad idea unless you are Mark Zuckerberg. 3. During your final edit, be honest with yourself on whether or not you are truly focused on what is newsworthy about this announcement. If not, revise accordingly. About Your Company: This is a placeholder for a short, 3-4 sentence description of your company along with a link to your homepage. Double check to ensure the first sentence accurately and clearly describes your business in a manner that could easily be lifted and translated by a reporter. And here’s an alternative informal version, suitable for a journalist you know well. As per our chat, I’ve just done some research into what people look for when retiring to our home town of Worthing. I thought you might be interested in taking a look at or maybe even considering the research for publication in the paper. It turned up some pretty interesting facts (in my view) that I haven’t seen anywhere else. For example, it turns out that retirees to Worthing insist on a built-in dishwasher and would choose that over a new bathroom. And they are also not interested in living near the sea! The research is gathered from a poll of 1000 people, all living here in Worthing or moving here. It’s pretty fascinating stuff, even if you’re not a mover. Anyway, I hope you get a chance to check it out—please let me know if there’s anything more I can tell you! This second version is humble, accessible, to the point, and, most importantly, it’s informative. Choose wisely when you’re deciding which route to take. Consider which one is more on-brand, suitable for the readership of the paper or magazine, and also appropriate for the relationship you have (or don’t have) with the journalist. Contributing articles on a regular basis. It would be great to have your photo on there too, but check with the journalist if that’s ok first. A client of mine on the Isle of Wight did this, and still contributes a well-written, well-researched article to his local paper on a monthly basis, which is great, free PR for his company, and more importantly, stops his competitors stealing his spot. What to read next: A day in the life of a social savvy estate agent. Next post What, no stock?